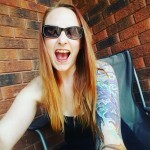 In my humble opinion, this is the best ever slow cooker pulled chicken recipe I have come across. We are huge fans of pulled chicken in this house. We are also gigantic fans of our slow cooker! It just makes things so much easier to throw dinner in before dinner and let it cook. Set it and forget it so to speak. Pulled Chicken is amazing! 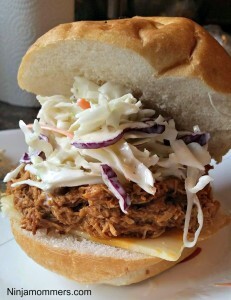 We are huge fans of Slow Cooker Pulled Pork and so we decided to try out some pulled Chicken. I am blown away with how good this Slow Cooker Pulled Chicken is. My kids love when we are having this for dinner! They are always super excited to come home from school and get dinner into their bellies. We like to serve this pulled chicken with our Creamy Coleslaw on top of a marble cheese slice and an Onion bun. Let me just tell you, this Slow Cooker Pulled Chicken is so delicious you will want to eat more and more and more. Leftovers (if there are any) will haunt your palate from the fridge and you will just want to eat this again and again. 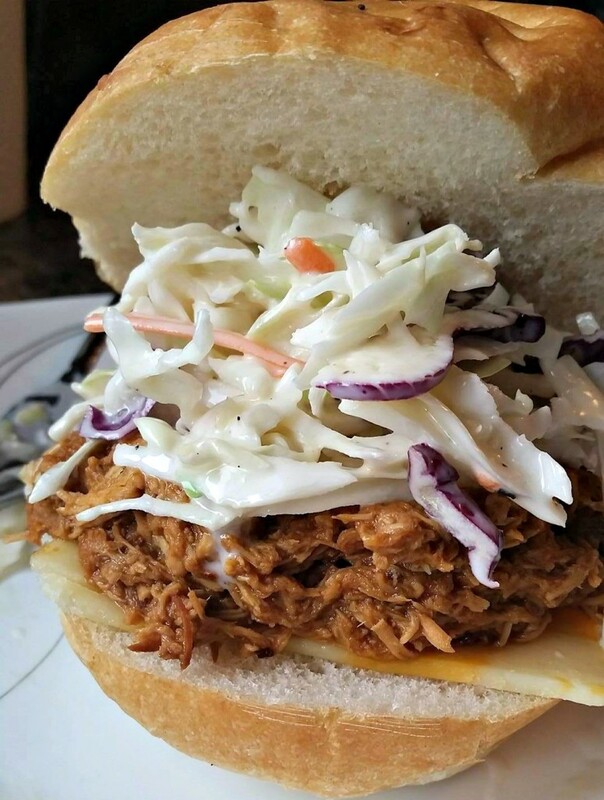 Sweet, tangy, and delicious, cut with the creamy coleslaw and enveloped in a fluffy onion bun, you won’t ever want take out pulled anything again, because you are the only person that can make it this delicious. You will be forever in love with your slow cooker and so will your kids. In fact, I think I am going to make this again tonight because I honestly can’t wait to have it again.. my mouth is watering just writing about this. Slow Cooker Pulled Chicken is decidedly one of my favorite dinner recipes as of late. We hope you Enjoy! a sweet, tangy and delicious bed of moist pulled chicken, piled high on an onion bun and topped with our creamy coleslaw. In a Medium bowl mix together BBQ Sauce, Dressing, Sugar and Worcestershire. Mix well. Pour over top of the Chicken breasts. Remove Chicken from Slow Cooker, Shred with two forks, and add back to the sauce and cook on low for another hour. Serve with Coleslaw on a nice fluffy bun. Have you ever made your own Slow Cooker Pulled Chicken?